A DC man accused of rioting and destroying property during the Inauguration Day protests walked out of court a free man Monday, just days after a judge ordered the U.S. Attorney's office to dismiss similar charges against others. WASHINGTON — A D.C. man accused of rioting and destroying property during the Inauguration Day protests walked out of court a free man Monday. The jury’s ruling for Casey Webber comes just days after a judge ordered the U.S. attorney’s office to dismiss similar charges against others. 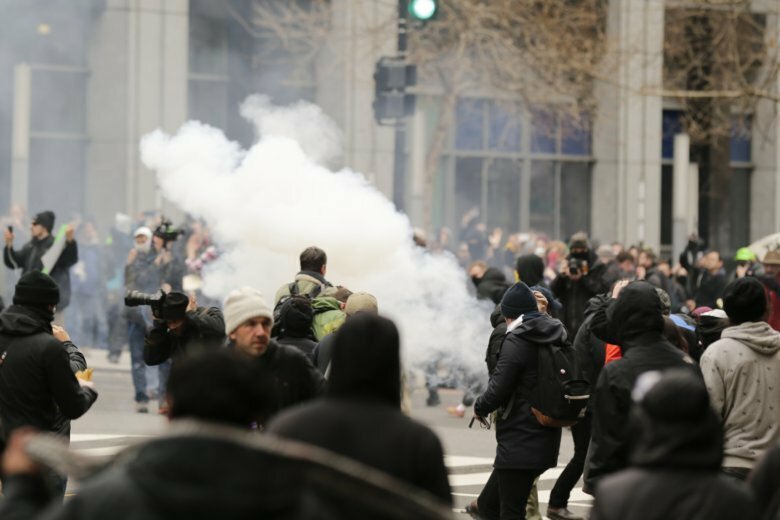 Webber, 29, was found not guilty on all nine counts linked to the Inauguration Day protests a year and a half ago. The charges were for felony rioting, destruction of property and assaulting a police officer. The jury has yet to rule on the three others who stood trial with Webber. In opening the case against the group, Assistant U.S. Attorney for D.C. Jennifer Kerkhoff said they “made the choice to engage in violence and destruction.” But the jury disagreed in its first day of deliberations. Webber is a member of the latest group to stand trial related to the Disrupt J20 rioting downtown. A decision in his case comes just days after charges against 10 others accused of rioting on Jan. 20 were dropped, according to court documents. Superior Court Judge Robert E. Morin ordered seven pending cases “dismissed with prejudice” after learning the prosecution was withholding evidence from the defense. The U.S. attorney’s office confirms it then dropped an additional three cases late Friday.